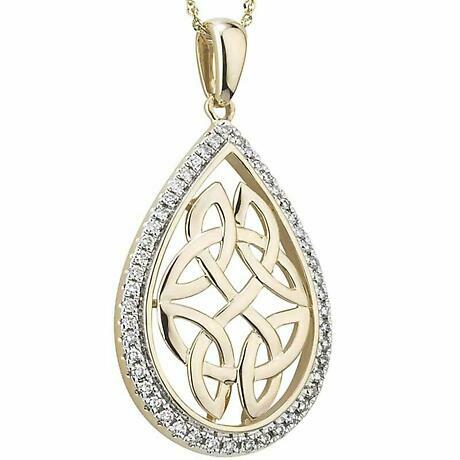 An exceptional Irish Necklace. 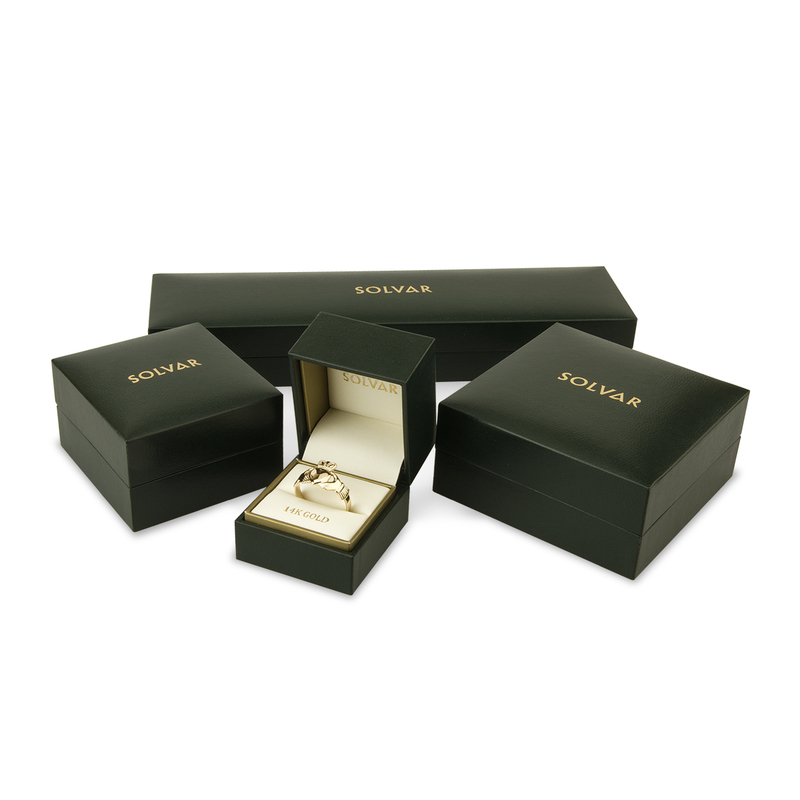 A circle of 14k White Gold encrusted with Diamonds, contrasts brilliantly with a quartet of 14k Yellow Gold Trinity Knots. 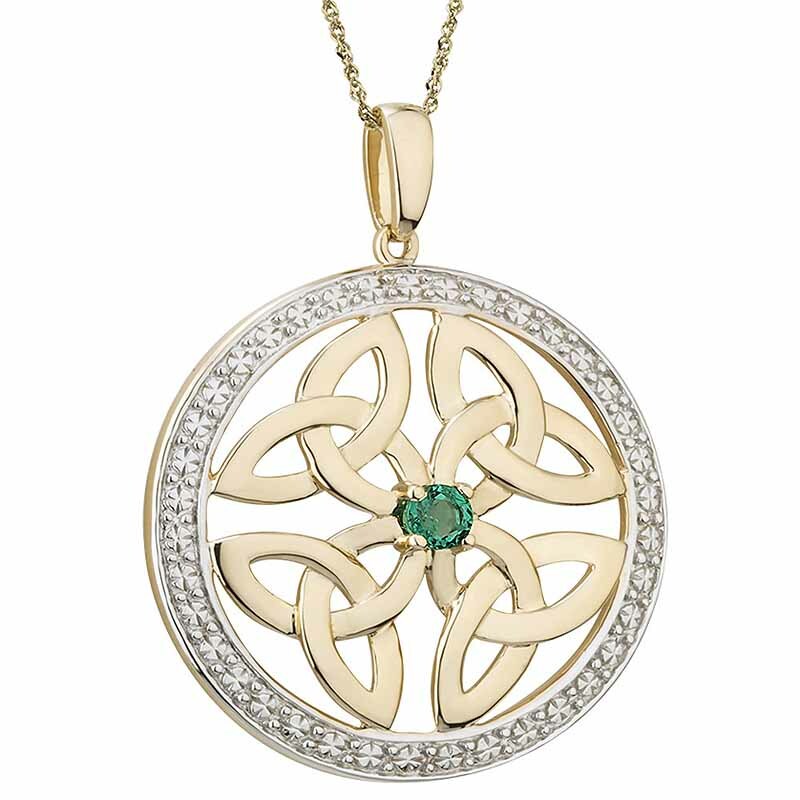 An Emerald at the center completes this most Irish of looks. 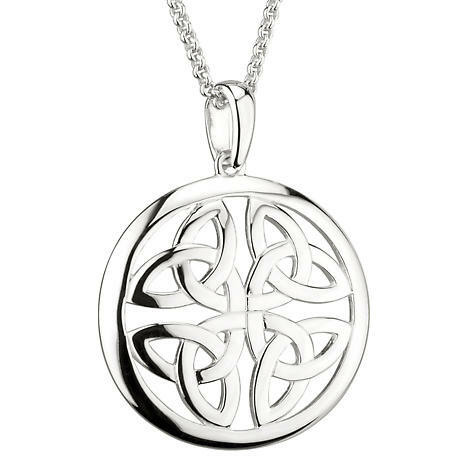 The interweaved pattern of the Trinity Knots is the Celtic symbol of the eternal or everlasting. 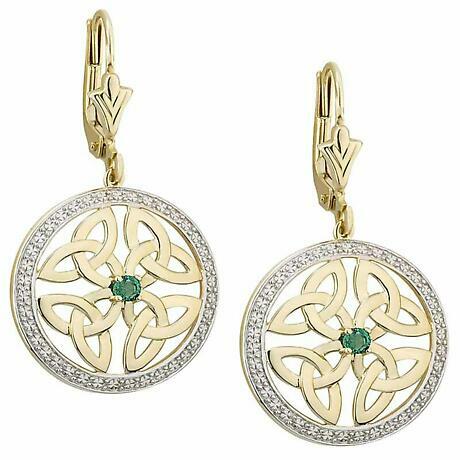 This stunning design makes it the perfect expression of enduring Love, Faith or Friendship. 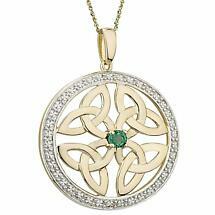 This necklace comes on an 18 inch 14k Gold Chain in a presentation gift box.